Drove to Piazza[le] Michelangelo and saw his statue of David. Started for Rome -- for a while road mountainous -- then began seeing lots of olive trees (silver leafed with dark bark) and grape trees and vines. Arrived in Rome around 3:30 and started looking for hotel. * Went out to eat -- came back to hotel and started checking things I wanted to see. Stayed in that night to get an early start the next morning. * According to the "HOTELS STOPPED AT" section of the trip diary, my mother and her friends stayed at the Nord Nuova Roma while they were in Rome, Italy. If they got to Rome about 3:30 PM, they must have left Florence no later than 10 AM (with an estimated five-and-a-half hours on the road, not including lunch, based on travel time for the map at the bottom of this post). 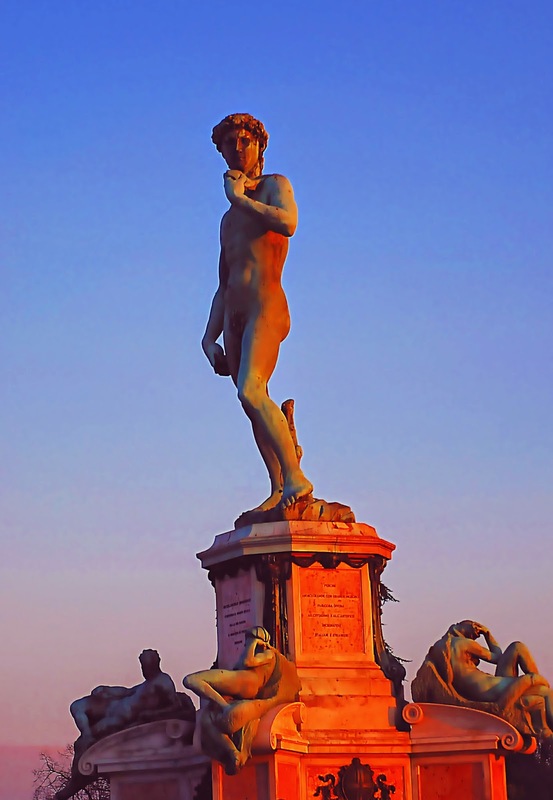 Therefore, an early morning picture of the David in the Piazzale Michelangelo (a bronze replica of the original) seems fitting. 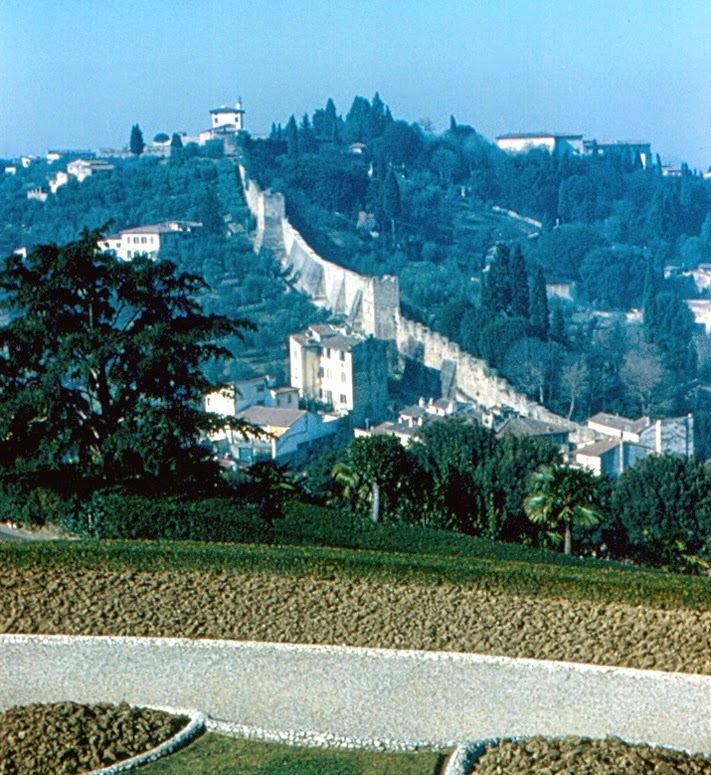 The photo just below David is of Florence from the Piazzale Michelangelo, which was created in 1869, and provides a panoramic view of the city. 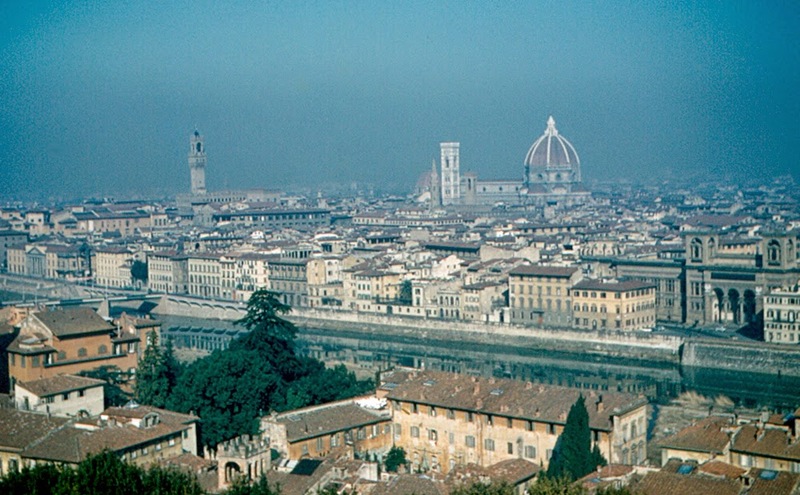 The Duomo and its Campanile are visible, as is the Arno River in the foreground. 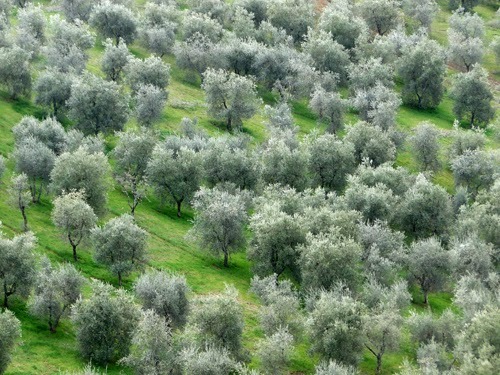 The photograph of the olive trees (above) was taken in an area my mother might have passed through en route to Rome. At left is a map showing a possible route for this day's travels. This is the 52nd in a series of posts transcribing entries in my mother's 1953 Europe Trip journal.